West Yorkshire based bedding manufacturer, Slumberdown, has been awarded the Allergy UK Seal of Approval for their Anti-allergy pillows, duvets, and mattress and pillow protectors. Allergy UK’s Seal of Approval is an endorsement given to products which have passed the charity’s high standards of scientific testing, and have proven efficiency at reducing/removing allergens. 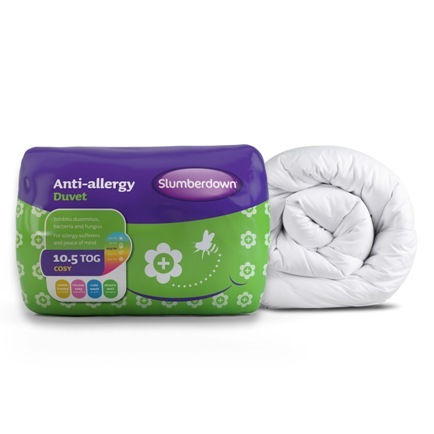 The Slumberdown Anti-allergy collection inhibits dust mites and prevents bacteria and fungus from growing on the bedding, making it a must for allergy sufferers but also providing the piece of mind that there’s nothing ‘lurking’ under the covers.